Perhaps one of the most unique, eccentric and unorthodox artists of his time. David Thomas Broughton is one of those people whose musical style and delivery is beyond classification in terms of any genre pigeonhole. Since 2003 he's continued to bewilder audiences and confound expectations in all manner of guises through both his recorded output and live performances. Last year he released Cripplick Lack, his eighth long player and arguably most ambitious project to date, recorded over the course of two years and featuring a number of esteemed collaborators including Beth Orton, Sam Amidon, and Aidan Moffat. Inspired by Broughton's current and previous surroundings, Crippling Lack once again demonstrates why he's often cited as something of an innovator in the field of experimental music. Originally from Otley in West Yorkshire, Broughton has been based in Korea for the past seven years and it's in the Seoul district of Hongdae where DiS caught up with him prior to embarking on his European tour which takes in the whole of November and first two weeks in December. DiS: How did you end up being based in South Korea? David Thomas Broughton: My partner works for the Foreign Office. We came to Korea seven years ago. I spent the first three years in North Korea then moved to South Korea four years ago. It's been a lucky existence because you get helped with your accommodation so life is reasonably easy. But then her job is quite important so I guess it's worthwhile. How does South Korea compare to the UK when it comes to working in the creative arts? Is it a less restrictive environment? In some ways it is, but then in other ways definitely not. I find it really constricting because there's an element of perfection that's pervasive through Korean culture. So all the bands you go and see are trained musicians who've studied music. Because I'm an untrained musician that tends to play something very loose and unstructured in many ways it's hard to get people on board. I realised quite recently that the reason why I feel very self-conscious about doing my shows here is because I've got into a very comfortable situation back in the UK. It's taken me 10 years to build up a level of appreciation yet it's still a very under the radar kind of existence. So I feel I've got a real mountain to climb if I don't have 10 years here to do the same thing. So I can only touch the surface. I've done a few shows with a few people I've got to know. The other thing I've found from being here is I'm not very confident at talking to people. Especially when there's a language barrier. So that's been restrictive when it comes to anything I'm able to do because I've held back from going to see bands, going to meet people or even introducing myself to anybody. It's taken a while just to be able to do basic things like order in a restaurant or catch a taxi. But I find myself holding back from anything that requires a deeper level of interaction. Especially when you're talking about music. You want to be able to develop a deeper connection talking in more detail about the specifics of what you do or are interested in doing. So you try and have a conversation with someone whose limited English prevents you from really explaining what you want to. And I've had so many awkward situations I just hold back from doing it anymore. So I think I'll just wait until I get back home to carry on doing stuff which is a real shame because I came here with loads of big ideas. I was hoping to meet loads of Korean artists and do all these collaborations. By the end, I'd hoped to have made two new albums but I've not been able to do any of that. Part of that is down to various other life things that have happened along the way. Have you played many shows since you've been over here? When I first arrived I met a guy who was more interested in experimental music so played a couple of shows with him, but since then I've hardly done any. He runs a little tape label and puts on some very noise based, improvised, under the radar events but he's also very busy with his own artists so spends a lot of time travelling between Japan, Taiwan, and various other places. Trying to keep up with people who are busy when you've got all the time in the world can be very frustrating. The shows I did for him were really nice and informal in non-big gig venues. The kind of intimate performances I like doing. But the thing is there were only 10 people at the first show. Which is still a nice little experience but you want to build on from that yet at the next show even less people turned up. The problem you find in Seoul is there's so much going on here and people are also really bad at advertising. They'll put a post on Facebook the night before the show and they think that's OK.
You spent three years living in North Korea. How was that? We were posted in Pyongyang for three years before my partner got her job here. You have to have a different attitude. You have to be comfortable with your own company for a lot of the time. You're not going to be able to go out and make friends. You can go out to bars and restaurants but you can't get into any kind of deep conversations with a local otherwise you'll never be allowed to arrange to meet a local again. Because their society is this self-policing society where everybody is watching each other and if somebody drunkenly practices their English on you for too long someone will pull them away. So you're trapped in a small ex-pat community of people on other diplomatic missions or the UN. It's a strange existence and you only have limited resources. We were lucky in our compound we shared with the German embassy. They made sure we had a consistent boiler and electrical generator whereas a lot of the ex-pat community live in these tower blocks run by the local government so there's often a power shortage and no running water. I remember someone from the Swedish embassy bringing over a pedal-powered shower once. You sit in the bath and it pumps up the water over your head! She often had to use that with cold water. However entertaining it might feel to live in this unique experience you're really aware that it's a terrible regime for a lot of people so it's very conflicting. You have to be confident that the work you're doing offers some kind of progression towards opening them out to engagement with the rest of the world to then gradually change things. I managed to get some work with the UN and the access we were given to people outside of Pyongyang was actually benefiting those in much poorer conditions. It's a very interesting place as you can imagine. There does seem to be a lot of western immigrants in Korea. In Busan especially, where there's a particularly strong American contingent. I came here with the idea that I didn't want to be part of the ex-pat community. I wanted to see what was really happening within Korean music. But I think it's impossible to not become attached to that somewhere along the line simply by the virtue of being foreign. I also feel things are quite cliquey. There are so many cliques. I guess they do cross over various strands but I've found it difficult to find a way in. Partly because I'm too nervous. Has the rise of right-wing politics influenced the way you write and create music? Things like Brexit and Trump getting into power have made me scared to go back to the UK! Brexit has made me realise there's a massive divide between what people think. Much bigger than we ever thought. So people you thought were of a similar mind to yourself have completely different views. What was nice about the old days was they kept quiet! Now everyone seems to be voicing their opinion and Trump has escalated this. That it's OK to speak your mind because there's now this attitude of they're only saying what everybody is really thinking. So would you ever return to the UK on a permanent basis? We are. Next year all being well when my partner's job comes to an end. We actually got a year's extension; she got offered another role which means we're here for another year which is actually quite interesting as we'd planned to return this year and already started packing everything up. Then two days before we were due to leave her boss asked if she wanted to stay for another year to cover this other job. We were really conflicted because we'd already imagined ourselves being back in the UK. Now, since we've been away for seven years, it's a big move. The last few years have been a totally dry zone in terms of writing and creating. I've put myself in situations where I'd be forced to write something such as in 2014 when I arranged a recording session with a classical vocal trio. I sat down and wrote some songs but what I ended up writing felt very rooted in Britain. It was northern England misery and despair. But then a lot of it reflected this kind of existence which could have been about the poverty in North Korea so maybe that was an influence after all? There was something that came out when I recorded an EP in my bedroom. I set up all my recording equipment in the spare bedroom and one of the tracks I recorded was me imagining this idealist, romantic view of the way Korean people in the north have been shielded from the developments in the rest of the world and a lot of people think that creates an almost childlike attitude in North Korean people. It's called infantilization. Which I've realised after being there and talking to people is a very naive way of looking at things. In the song, I imagine this person becoming very infatuated with this Korean then wishing that things were different and they could get together which is a scenario that tends to happen quite a lot with people that visit because they have this romantic view of something that's unattainable. So I guess that came into play with one of the songs I wrote called 'Dreams'. When this whole thing blows over we can have the future we always wanted. But in reality, this is an unattainable idea that will never happen. So there are things that pervade whenever you're in a situation. I guess that's just life in general! It influences what you do. Your most recent album Crippling Lack came out last year and features a host of collaborations with people like Beth Orton, Sam Amidon, and Aidan Moffat among others. How did they come about? They're people that I've met along the way. Everything I've ever done has been a fairly organic process. The way I write. The way I play live. The way I record. The only thing that carries through is to record in as many one takes as possible! So the first album was a single take. I pressed record then did the whole thing all the way through. Nothing changed. Other things that have been more separate track based have generally been more spontaneous depending on who or what was around at the time. They tend to start off as relatively straightforward song structures then I press record, see what happens and if it sounds good I'll keep what's on the tape. Most things are done like that. Part of the organic process for me involves meeting people along the way. It's through playing gigs together where I make most of my musical friendships. So the collaborators on Crippling Lack were just people I'd met along the way and I contacted them about working on an album. So I recorded the basic tracks myself in one take. Mainly just vocals and guitar or whatever I had around the studio at the time, and that was just the bare bones. After that, we just communicated by email and I recorded some bits in my room then I'd send them to Beth and she'd record her bit, mix it, then send it back and so on. She got some French musicians in to play percussion and cello then kept sending over different mixes of the parts she'd done with them. So I'd go through each one and decide which parts to keep then send it back for her to edit. It took us about two years in total then I sent the tracks to some other people and asked if they'd like to contribute anything. I'd played a festival in Spain on the same bill as Aidan Moffat. That's how we first met. I was in the bus from the airport with him and I had this idea. Aidan has this very masculine persona and his lyrics are very sexual so I had this idea of writing about an obsessed fan who read too much into Aidan's lyrics and thought they could have a relationship. That's how 'Words Of Art' came about. In 2015 you became the subject of a documentary, 'The Ambiguity Of David Thomas Broughton'. What was behind the making of the film? What I'm doing is just being honest about who I am. Which is somebody that likes playing instruments and recording themselves playing and feels comfortable doing that. But I also feel comfortable being a live performer. So that's what you get. Do you see parallels with the documentary 'Searching For Sugar Man' in that both you and Sixto Rodriguez have always existed on your own terms outside of the mainstream and hold cult status among a select but dedicated band of followers? I'm not sure. I don't think I'm as mysterious as people make out. I think the film is good in terms of humanizing me but there's also an element of giving the game away. People have asked whether they can screen the film before I play and I think that's a ridiculous idea because if that happened you'd lose a lot of the immediacy of my performance. You're going to be thinking back to the film which is fresh in your mind. You could have seen the film then let a few days pass before seeing me perform. Although the performances are different every time. I can't repeat the same show twice in a row, so you're always going to get a unique performance. But at the same time you're also going to be given some prompts by the film. It's weird because I do kind of see myself as a cult artist. For me, a cult artist is someone who's gained more appreciation as time has gone on but still think is something they can hold personal to themselves. It's like finding something that most people don't know about, which I can relate to as I guess I'm never going to be a chart-topping act. If you had the benefit of hindsight to go through your back catalogue and do anything differently what would it be and why? The resources I had back then are the same as I have now. I've not invested in any more equipment so from that perspective, no. There's nothing I'd change. I'm still using the same loop pedal as I have throughout my entire career. The only things I have replaced are a few guitars, mainly due to onstage antics! What advice would you give someone wishing to take up a career in making music? I would advise people to be honest about what they can do and not try for too much to begin with. I've always been realistic about what it is I can do musically and how far it can go. Another thing is finding out more about the industry person behind your band. I've taken on being my own manager and booking agent and it's an awful job. I realise now where my previous booking agent got his 20% because it's really difficult and I think artists need to understand that. Don't give your booking agent such a hard time because it really is a difficult job. I had a manager who was very difficult to deal with and when you're working through another person you feel even less in control unless you have a really good working relationship. Because I was living on the other side of the world and working a day job as well I felt there were a lot of opportunities missed. Also - and this is probably not the advice most people want to hear - don't be too ambitious. There's no money in it. I've been a part-time musician pretty much my entire life. All my career I've been working day jobs in order to earn money. I'm terrified of the music industry. At the moment I'm lucky enough to not have to work so music is my income. Which is why I'm really trying to work on this tour. That's why I'm taking time off work. To try and make this an income. So we have to prepare then see if it's a viable income to support us if my partner decides to quit work when we go back to the UK next year. It would be a really nice existence if we can make it work. Crippling Lack pt. 1 from David Broughton on Vimeo. 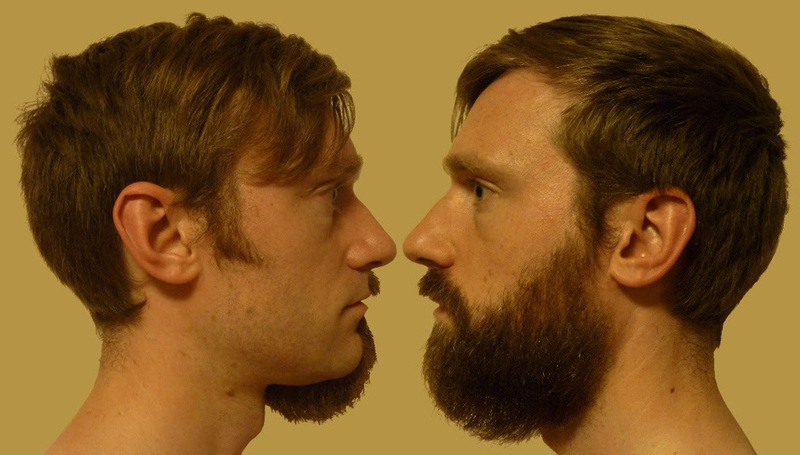 David Thomas Broughton is currently touring Europe and the UK leg starts in Brighton on 15 November. For more information including full tour dates and where to purchase tickets, visit his official website.